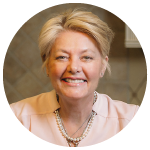 Lot’s of folks enjoy taking up new interests and hobbies following retirement and retired dermatologist, Emily has done just that. 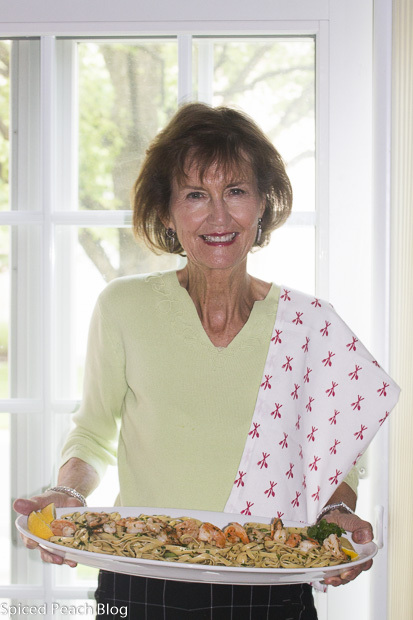 Well, she sort of doubles up on her interests by cooking up new recipes and then sharing the foods she prepares with family, friends, and neighbors. Emily’s partner, Steve, also a dermatologist, loves the Shrimp Limoncello and the tangy burst of lemon flavor which adds a delicious pop of flavor. You could also use white wine and fresh lemon juice to create a similar but delicious variation. Emily has prepared the shrimp on numerous occasions varying out the combination serving the shrimp on rice but tasked with preparing a favorite dish for the local Blue Bell’s Finest magazine a couple months back Emily set to deciding on this delicious combination using lots of fresh herbs with basil and parsley and the result was sensational. 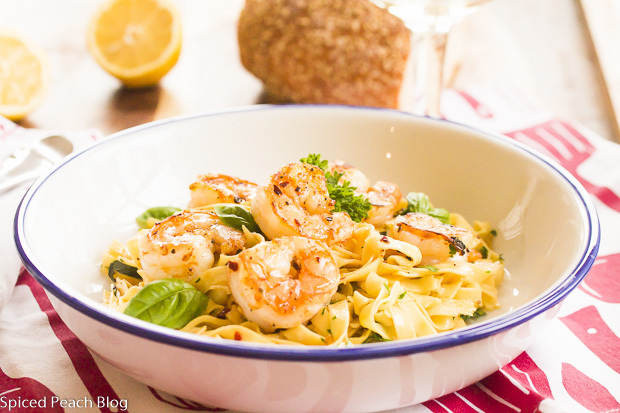 And here you have it, delicious in any season, Emily’s Limoncello Shrimp and Fettuccine. Just before preparing the shrimp cook the fettucine in salted boiling water until el dente. Drain, then quickly toss with the two tablespoons butter to evenly coat. Cover with aluminum foil to keep hot. On medium temperature heat a large, wide sized skillet. Pour in the olive oil and swirl to cover the pan. Place the shrimp into the pan and cook for two minutes. Reduce heat to medium low, sprinkle over the salt, pepper, red pepper flakes, and garlic. Continue cooking another minute before turning shrimp to the other side and cooking another two minutes. Pour in the Limoncello adding in the lemon juice and zest after the liqueur has cooked a bit. Scrape in the parsley and basil, stir. Using tongs, remove the shrimp to a covered plate. A bit at a time whisk the butter into the Limoncello mixture. Tumble the hot pasta into the sauce, tossing all throughout, return shrimp to pan and stir through, taste, check seasoning, and adjust to taste. Transfer Limoncello Shrimp and Fettucine to a serving platter. Arrange shrimp on top. Garnish with parsley sprigs and basil. Serve hot straight away. This entry was posted in Fish, Pasta- Rice-Grains and tagged Fettucine, Limoncello Shrimp, Limoncello Shrimp and Fettuccine. Bookmark the permalink. Post a comment or leave a trackback: Trackback URL.